First Job After Graduation: I started my own business - Thunderbay Riding Academy! 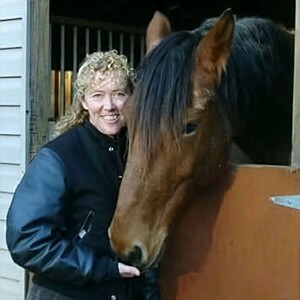 Owner of Thunderbay Riding Academy in Waxhaw, NC. I'm the Head Riding Instructor, Barn Manager, Acitivity Director and Show Team Coach for a 70+ student academy. I'm also the Director of a residential horse camp and a day camp. Our residential camp is like a week at MM for teenagers. Young horse enthusiasts can experience a taste of what it is like to go to a horse college. This can be an exciting step for riders while waiting to attend MM. Thunderbay serves its most important function as a training barn. 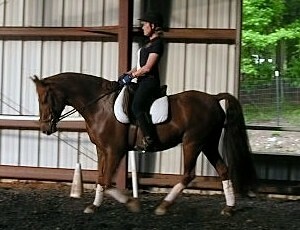 I train and develop the horses used in our lessons, camps and show team programs. My most fulfilling training is accomplished in our Horse Rescue Team that teaches teenagers how to rehabilitate, evaluate and train horses that were destined for slaughter. Being able to use my training skills to give horses a new and promising life is why I think I have the job and life of my dreams! I wish I could narrow it down to just one. It is all of the memories of learning about my passion and sharing that experience with your fellow students. I worked in the horse industry before I attended Meredith Manor and while I had some good experiences I had a difficult time supporting myself financially. After graduating from Meredith Manor I had enough skills and knowledge to teach a lesson program, coach a huge and successful show team, train horses on a full time basis and run a business that has supported me for 27 years and counting! Go to MM for one thing and one thing only - to learn. Don't let anything or anyone side track you from focusing on that one objective, because that knowledge is what will allow you to live your dream of spending a lifetime working with horses!